It's a fact, I don't like war but I LOVE military trend ! 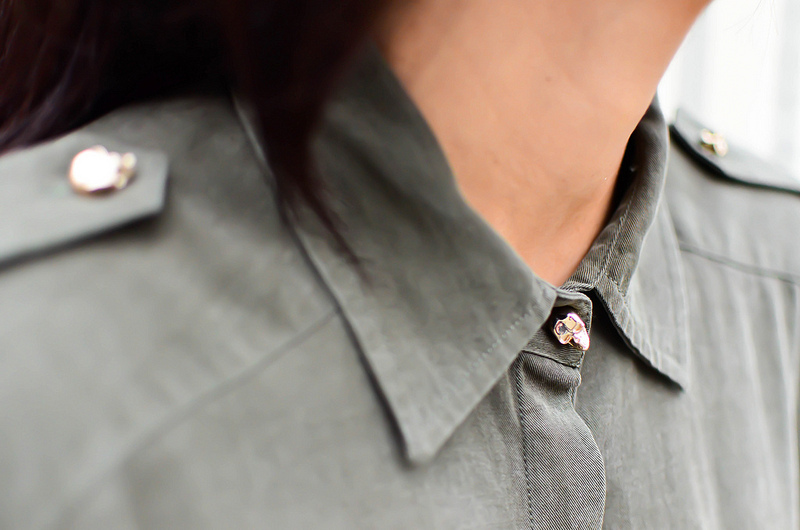 Clothes are simple and comfy like in the army but the fabrics are really softer. Furthermore it's adapted to the women's morphology! So what else ? 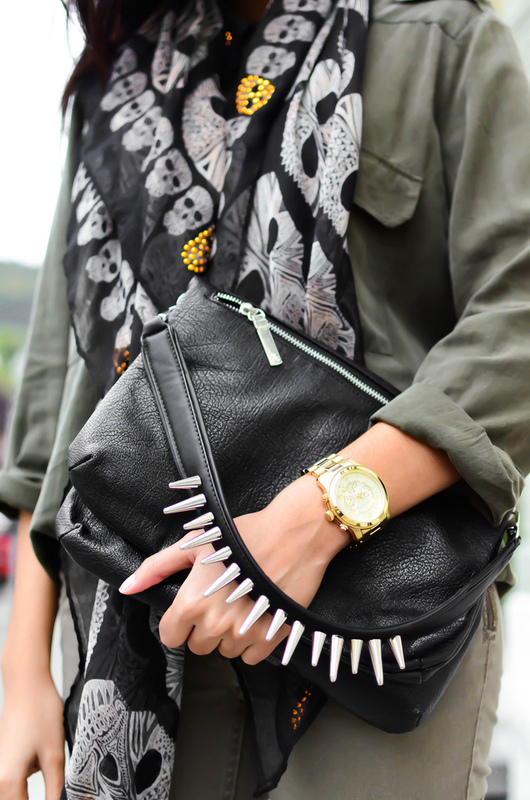 And... what do you think about mixing military and skull ? Well, I did it and I was quite happy about the result. All these skulls remind me the Alexander McQueen brand that I love so much... I am crazy about!! In addition to that, I was trying the ombré lips as you can see. You might already know that it consist on wearing a lighter lipstick color in the middle of the lips and a darker on the rest of the lips. It was funny when I was filling my lips with both color. I don't know you, but when I saw in pictures, visually, it's just as my lips are swollen with this mix of colors.. Ok, the next time I want bigger and pulpier lips I know what to do:). Hope you love my outfit and I am curious to know your thoughts. 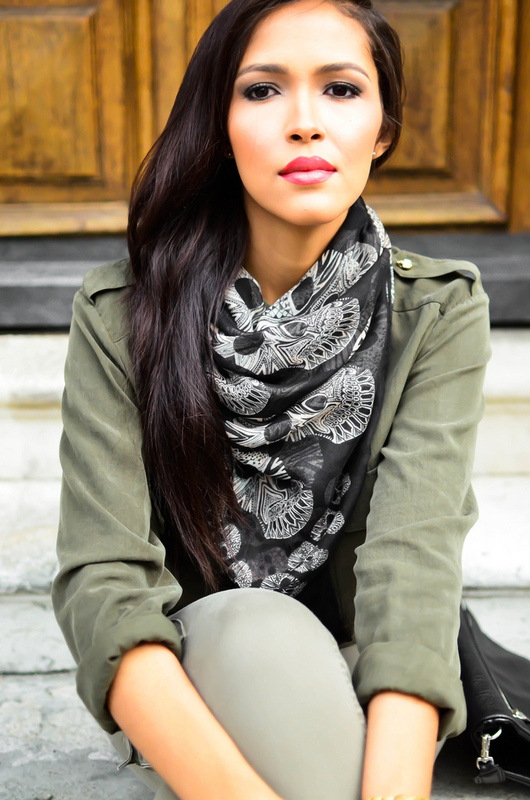 I am absolutely loving that scarf! I can't believe it's from Zara! I really love this outfit, great combination! I am your newest follower,wanna follow eachother? Très joli ton look , tu est très belle le rouge à lèvre superbe! a beautiful girl!You look stunningly stylish! I like your blog ....))))I follow you! 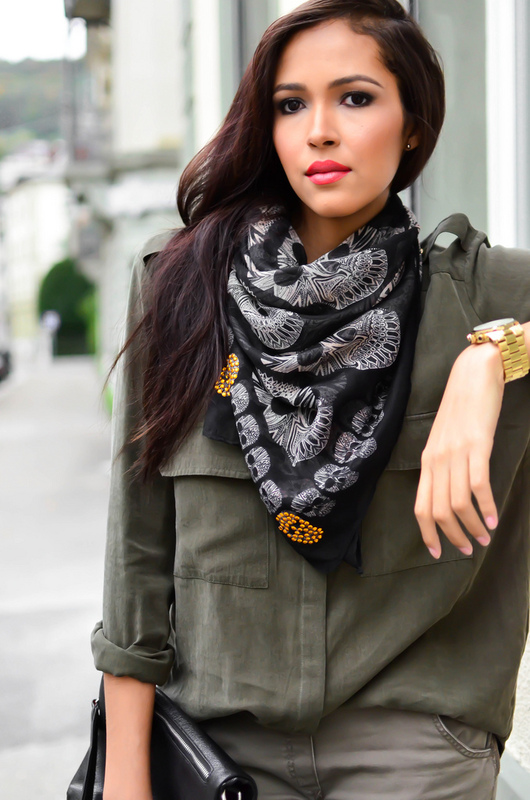 GORGEOUS look, I love the scarf! Really Love that Military Look!!!!! BEAUTIFUL!!! I love your shirt! I absolutely love this outfit! Gorgeous shades of green! 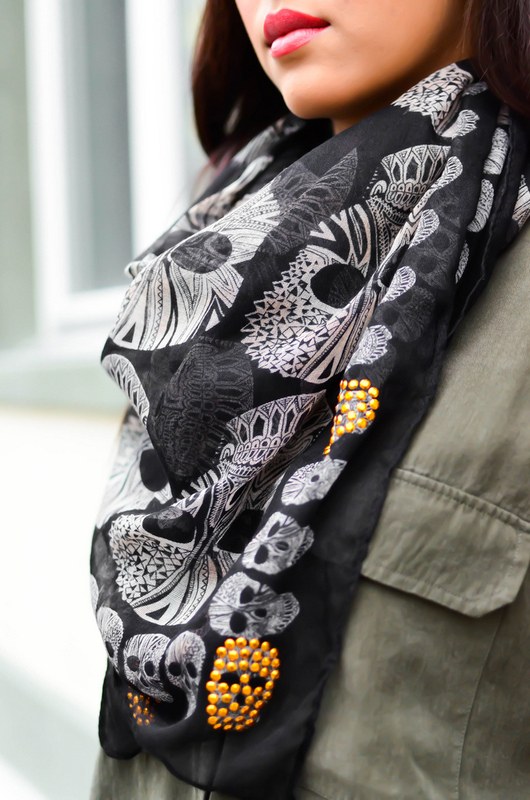 Muchas gracias por tu comentario.Me he enamorado de ese pañuelo.He estado viendo tu blog y me encanta tu estilo y tus fotos estan genial. Te sigo en via bloglovin te gustaria hacer lo mismo?? 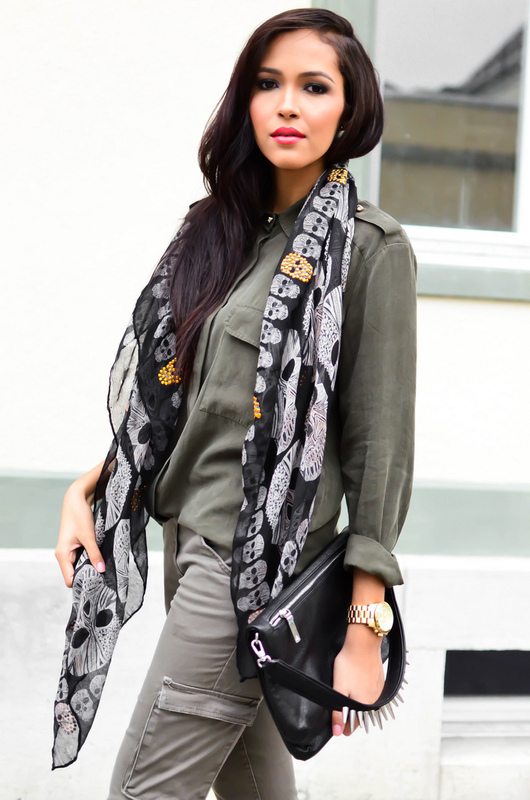 Love the scarf, love the shoes, love...the everything about this outfit!! Que linda :D também tenho essa camisa e gosto imenso do tecido e de como assenta.